Make a difference. Share a few stories. Volunteer. If you’ve been fortunate enough to spend quality time with someone who’s older than you, you understand that nothing compares to the wisdom, strength of spirit and unique stories you’ll experience when you’re around senior adults. 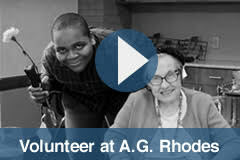 By volunteering with A.G. Rhodes Health & Rehab, you’ll have the opportunity to give back to your community and the seniors who’ve contributed so much to our lives. 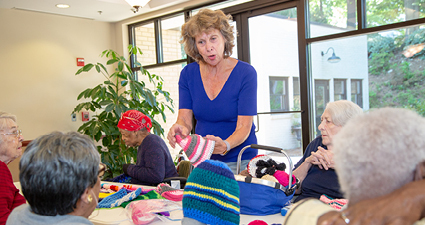 Whether it’s participating in group activities or visiting one-on-one with residents, you’ll find that we offer many volunteer opportunities that will make a lasting difference in your life – and in the lives of those we serve.